Comment: Repair places where wood has rotted. Some glass needs replaced. Comment: Some of the windows in our home will not roll back in after opening without difficulty or pushing from outside. Comment: Need to install a 30" interior door in an existing door frame which does not have a door. Need hinges, doorknob, and doorstop trim. Comment: Bathroom-Partial wall turning the corner and another partial wall.. Comment: Remodel - replace with more craftsman style trim. Add crown molding and wainscoting. Wichita Carpenters are rated 4.79 out of 5 based on 319 reviews of 18 pros. 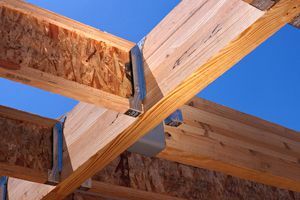 Not Looking for Carpenters Contractors in Wichita, KS?